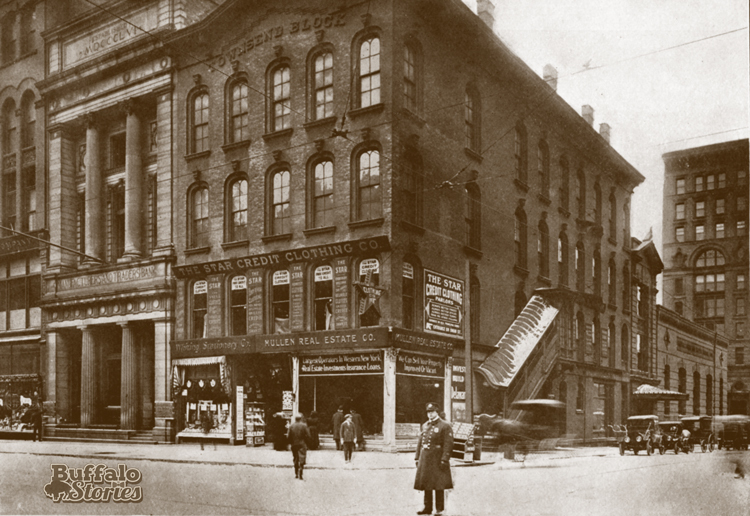 This is a 1912 look at the southwest corner of Main and Swan, a block west of Coca-Cola Field and kitty-corner to the Ellicott Square Building. The following year, the buildings were torn down to make way for a new M&T Bank headquarters on the site. 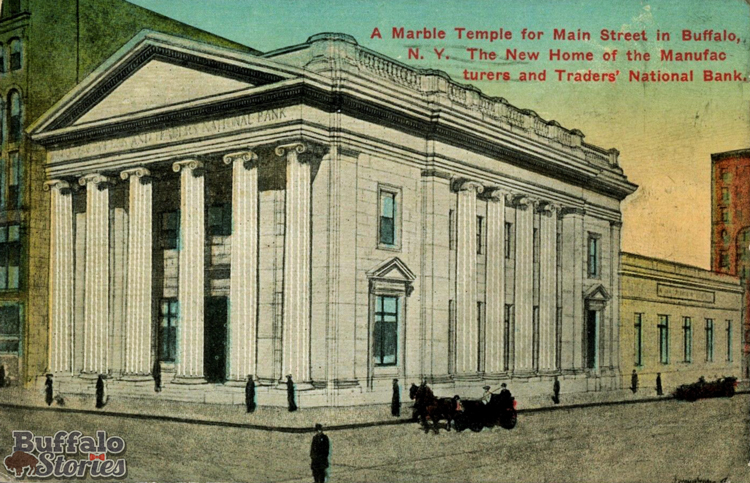 That building eventually served as Buffalo’s Federal Reserve Bank branch. The spot has been a parking lot now for nearly 60 years. When the bank building was demolished in 1959, its columns were shipped to the University at Buffalo for a project that was never completed. 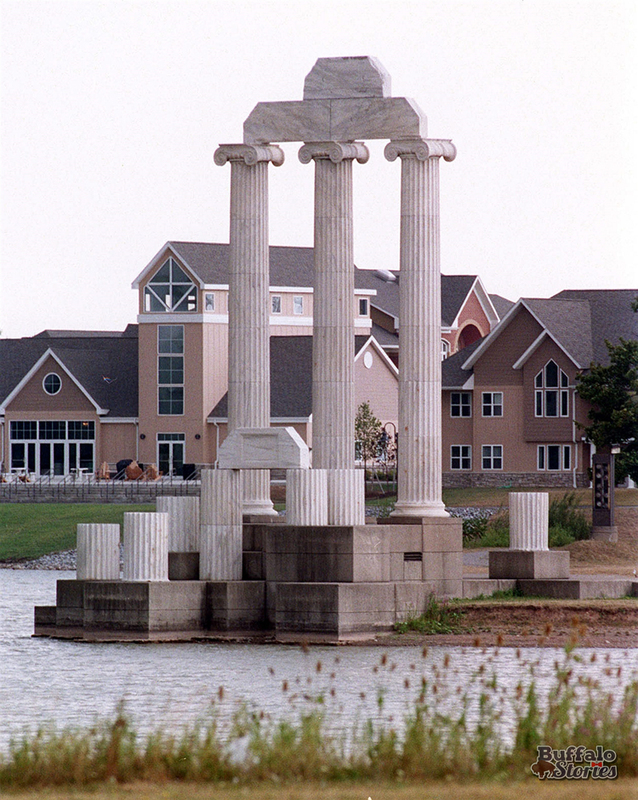 In 1978, the columns had been lying in storage at what had become UB’s South Campus for almost 20 years when they were cleaned and placed at Baird Point on UB’s North Campus.